The Naftali Group announced today that The Seymour, located at 261 West 25th Street, is over 75% soldsince launching sales five months ago. The new 12-story building with 49 luxury condominiums also recently topped off. The Seymour offers rich interior finishes, boutique hotel-inspired amenities and lounge spaces. “The Seymour embodiesthe very bestelements of Chelsea with its unique charm andallureand that has really been resonating with buyers.Chelsea is an iconic New York neighborhood – home to countless galleries, restaurants, and independently owned shops, andwe seem to have designed a building that really speaks to the people who love the neighborhood,”said Miki Naftali, Founder and CEO of the Naftali Group. Goldstein Hill & West,the architect on the project, created an authentic brick-and-metal façade that respectsthe neighborhood’s rich heritage, and added large floor-to-ceiling casement windows to allow for an abundance of natural light.McGinley Designcreated the stunning lobby and amenity spaces, and residential finishes are by Rottet Studio. The residences are comprised of one, two and three-bedroom homes and range from 720 square feet to 2,029 square feet. Tailored and refined, the interiors feature wire brushed solid oak floors,generous marble master baths, practical but beautiful kitchens and a particularly chic powder room. The craftsmanship and attention to detail is evident throughout the spaces at The Seymour, starting with the terrazzo and stone lobby floor and continuing into the amenity spaces and apartment interiors.Kitchens offer beautifulworkspaces with custom cabinetry, hand stitchedleather wrapped hardware,and Calcutta Gold backsplashes with Bertazzoni, Miele and SubZero appliances.Master baths are clean and white with a timeless design vocabulary and a sense of luxe. 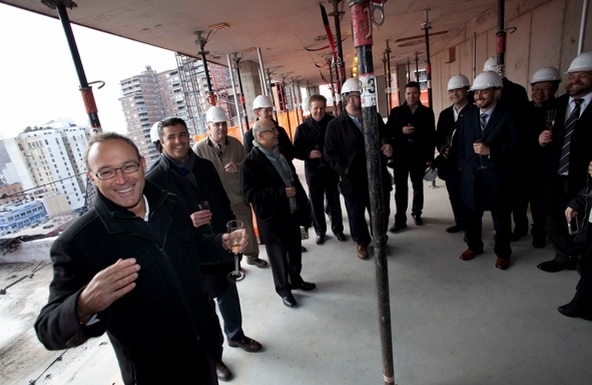 Residents at The Seymour will have access to manybespoke amenities. 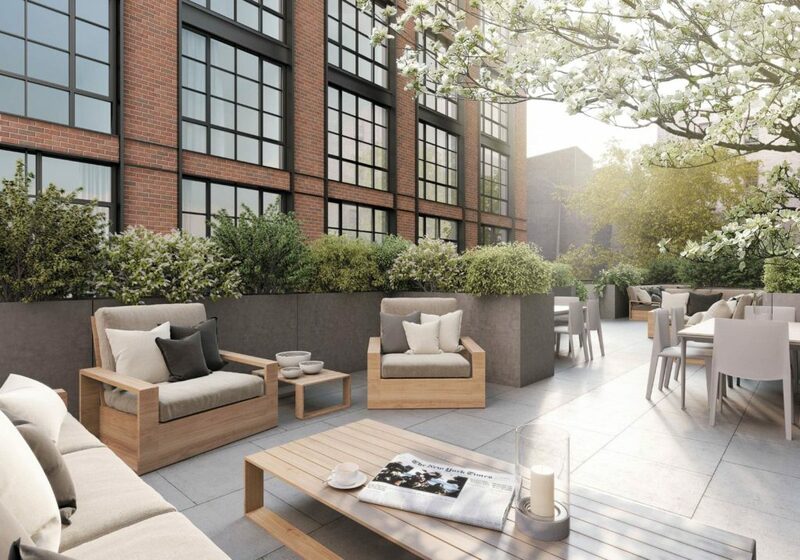 Centered around a herringbone brick courtyardmodeled after one of Tribeca’s most cherished boutique hotels, the amenities include a state-of-the art fitness center, alounge with a fireplace and pool table opening to a garden courtyard, and a separate screening lounge with bar. There is also a fantastic rooftop terrace with outdoor grill and furnishings fit for a top hotel. The building will feature a fulltime doorman and concierge service as well as private storage units and bicycle storage. Occupancy is expected in the end of 2015.For more information, please visit the website at www.seymournyc.com or call the sales gallery, located at 142 West 23rd Street, at 212.285.2525.